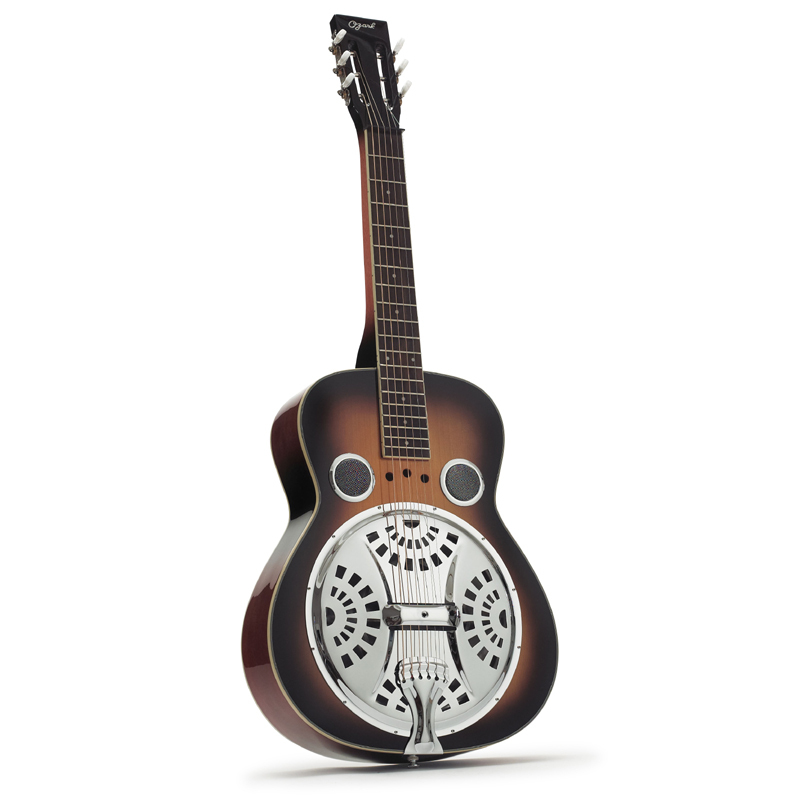 This Ozark square neck wood body resonator is perfect for lap steel style playing. Its single-cone 'spider' resonator delivers plenty of sound and projection. The reversed machineheads are ideal for the lap steel position and ensure easy tuning. Its sunburst finish is complemented by a chrome plated coverplate and tailpiece. This is easily the best value guitar for experimenting with slide techniques in Hawaiian, Country, Bluegrass or Blues styles. Ozark is the choice of established musicians as well as beginners and professionals, who all choose Ozark guitars, mandolins, banjos and bouzoukis for their excellent quality and superb value.